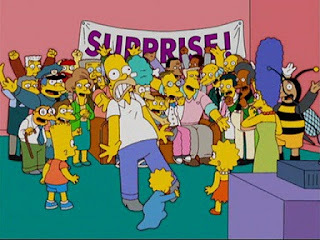 The Simpsons recently became TV's longest-running scripted show, surpassing Gunsmoke in episode count. As a huge fan of the series, I'd like to celebrate this occasion with this post. I'll be counting down my 10 favorite characters from the series long history. While there are many iconic and hilarious recurring characters, these are my personal favorites. 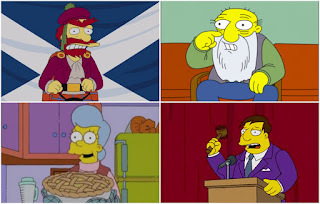 In order to keep this list to only the recurring characters, regulars like the Simpson family, Flanders, and Mr. Burns will be excluded from the list. All four of these characters are great, but ultimately, not among my ten favorites. 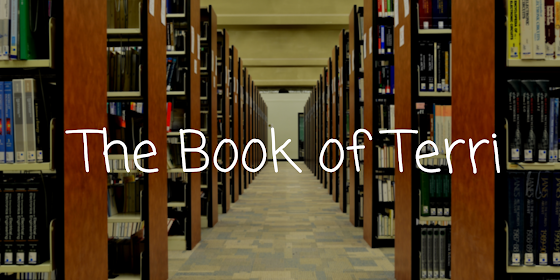 They each have their own unique quirks that make them great characters, but they fell short of the list. Ha-ha! Nelson is the reason for one of the most iconic on the show, delivering that famous line in pretty much every episode that he's in. That, of course, is a good thing, as the catchphrase of everyone's favorite school bully manages to still be funny all these years later. 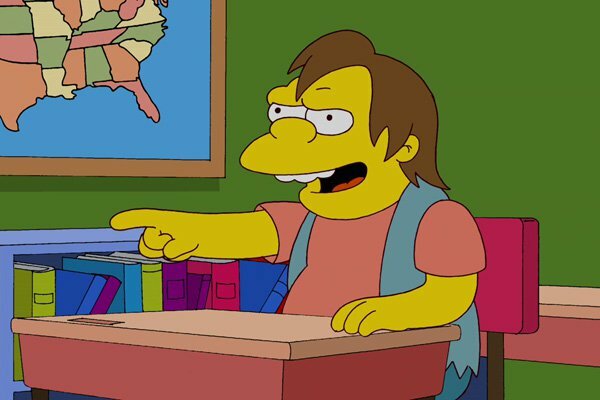 But Nelson is more than just his catchphrase, as he is consistently a very funny background character that really shines when he's given the spotlight. I'd love to see more Nelson-centric storylines on the show in the near future. 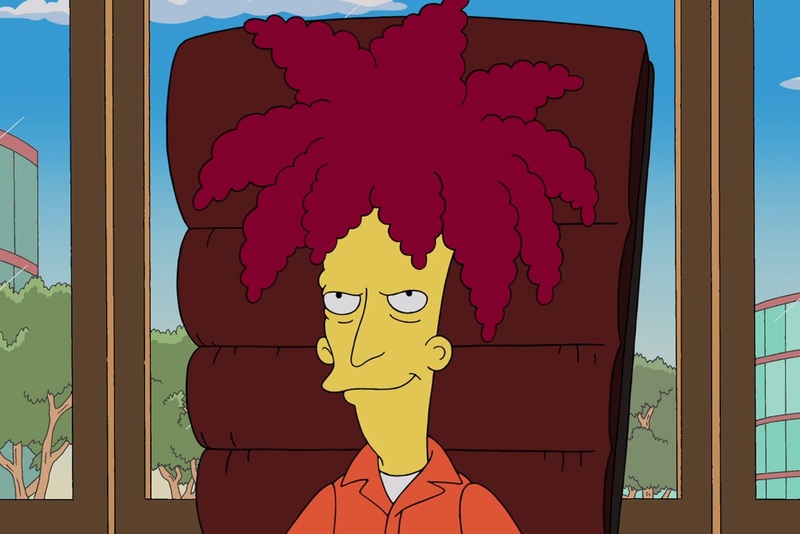 Worst character ever! 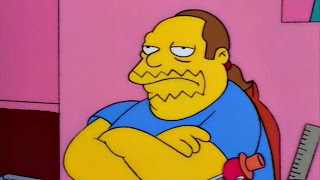 This is not a thing that I can say about Comic Book Guy, someone so incredibly unpleasant that you can't help but laugh at him. He's very moody, but he brings the laughs when he's on the screen. He doesn't really have any amazing episodes centered around him, but he really is best in small doses. Springfield's unluckiest resident, Hans Moleman, is a strange character. He somehow makes me feel guilty for laughing at him, but that's his charm. He always manages to get into the worst situations possible, and never gets lucky. That's what makes him so hilarious, though. You can't help but laugh at him getting into insane situations, and getting critically injured in the process. I swear, it's funnier than it sounds! Who doesn't love mobsters? Oh, most people? Well, I think we can all agree that Fat Tony is pretty great. The episode of his introduction, Bart the Murderer, is a true Simpsons classic. It was the first of many classic episodes that remind us all of why we love this seemingly unlovable character. Morally, he's not great. Buy comedically? He's wonderful! Just an absolutely hilarious recurring character that always brings laughs. Santa's Little Helper doesn't deliver the same great one-liners that most of the other characters on this list deliver. Because he's a dog. I still love him though, because he's just so cute. The first episode of the show focused on SLH, and his relationship with Bart, as seen in Bart's Dog Gets an F, is one of the best and most touching on the show. There's no relationship more touching than a boy and his dog. Even if that boy is the biggest troublemaker on all of TV. Sideshow Bob is the most insane character on the Simpsons, sure. 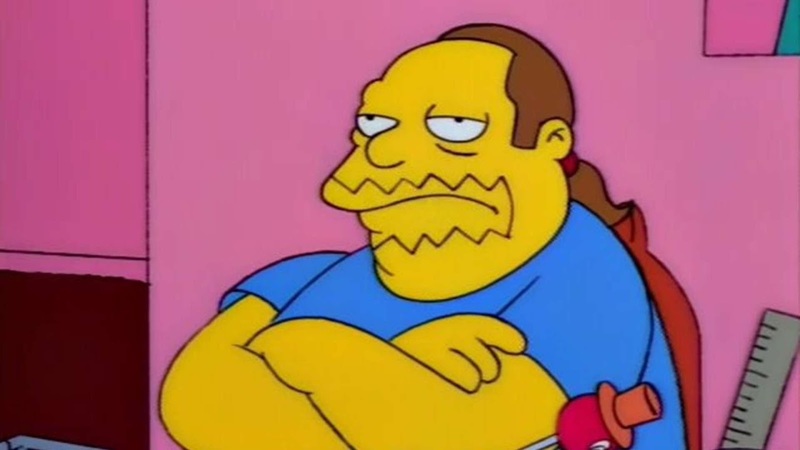 But that doesn't mean that he's not a great part of the Simpsons universe. 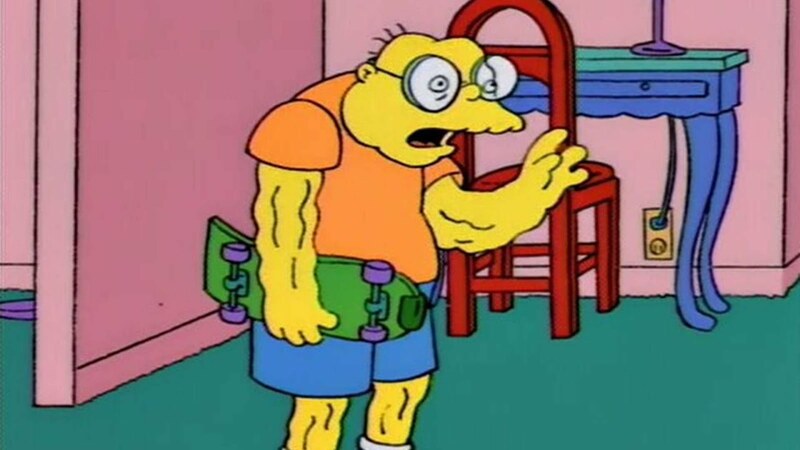 The peril that he always adds to a Simpsons episode helps kick it into high gear, making for episodes that are (almost) always enjoyable. There's a reason why this role has won Kelsey Grammer an Emmy award. Krusty the Clown is not a pleasant person, that much is a fact. He is, however, a very funny person. 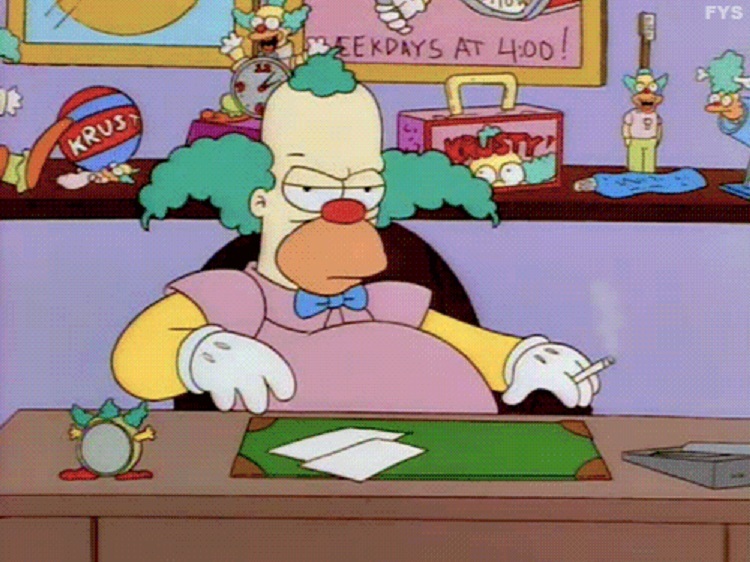 The grouchy clown is a Springfield institution, beloved by Springfield's children and Simpsons viewers. He's had so many great moments on the show, and is always a welcome face. He's the only clown I like! Apu has been a controversial character as of late, but I still love him for what he is. 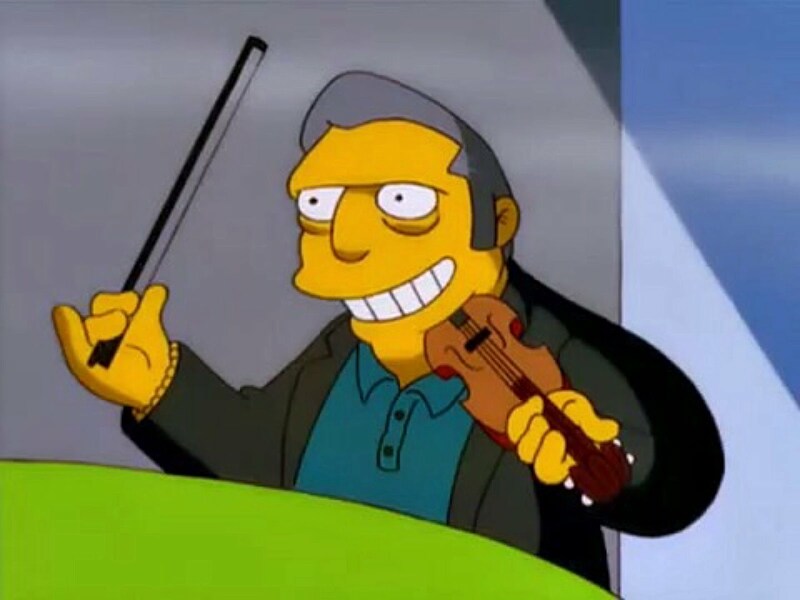 He's one of the good ones in Springfield, showing kindness and making the audience laugh all at one time. The Much Apu About Nothing episode is one of the show's best, and is Apu's biggest moment in the show. He helped the show make some great social commentary, all while getting a great storyline to shine. 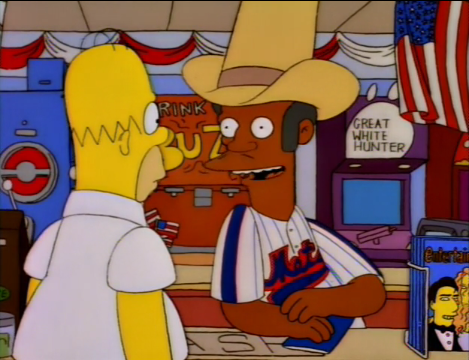 That's when I really fell for Apu. 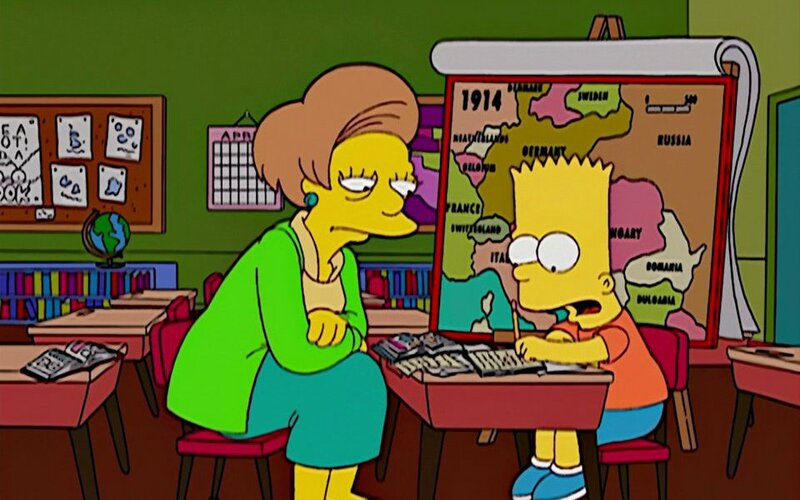 Edna Krabappel, teacher of Bart and wife of Ned Flanders, was always one of the show's most pointed and well-crafted caricatures. 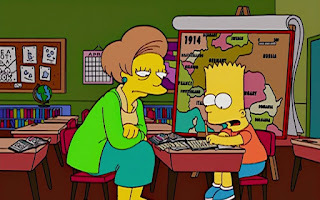 She hated being a teacher, mostly because of Bart, and was the perfect satire of the stereotypically uninterested American teacher. However, there was more to her than just that. Episodes featuring her relationship with bane of Homer's existence Ned Flanders gave her a softer side that made her more than just Springfield's unhappiest teacher. Voiced by the late, great Marcia Wallace, Mrs. Krabappel truly was one of a kind. In both good and bad ways. These two recurring characters may not be Homer's favorite people, but they sure are some of my favorite characters on the show. 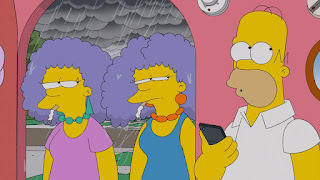 Marge's grouchy, never-nice sisters are some of the funniest on the show and I always love to see them pop up. The chainsmoking DMV workers are both great characters in their own right, but together they're absolutely wonderful. I'm not even ashamed to say that when they get in arguments with their dim-witted brother-in-law Homer, I mostly root for Patty and Selma. They're just that great. Now I'd like to know what you think! 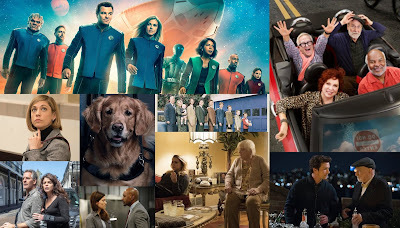 Who are your favorite recurring characters? Let me know in the comments below and vote in the poll! Who is your favorite recurring Simpsons character?